Diagnosed at 39 with triple negative breast cancer, Marenda credits research for giving her the ability to pursue her dreams. It started off as a normal night at home; Marenda Taylor, then 39, was relaxing with her husband when he discovered a lump in her breast. After a few weeks passed, the lump persisted, and she decided to call her doctor. Eventually, Marenda received two mammograms, followed by two ultrasounds, then finally a biopsy. “Two weeks later, my doctor called me while I was at work.‘Can you come into the office?’ she asked. ‘Can you bring somebody? Can you come right now?” she said. Marenda went directly to the doctor’s office on her lunch break. By the time she returned to work, she had been diagnosed with Stage I, triple negative breast cancer. “The word ‘cancer,' to me, was a death sentence. My whole life just flashed before my eyes; I'm only 39 years old, I haven't even had kids yet. There's so many things that I hadn't done,” said Marenda. 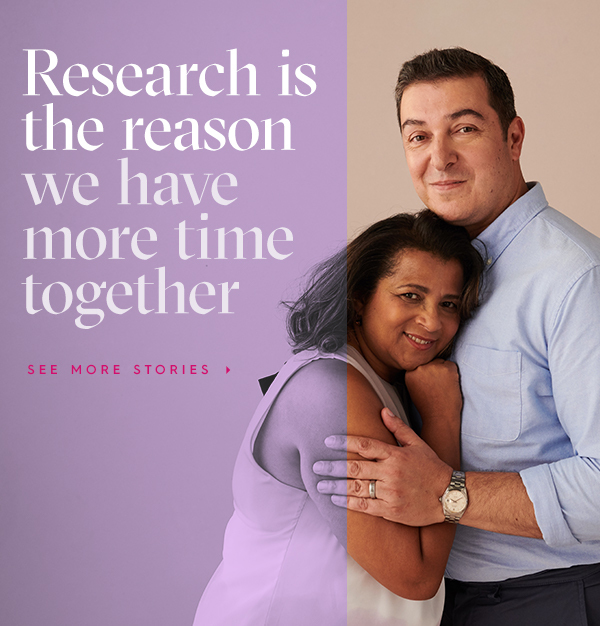 After her diagnosis, Marenda tested positive for BRCA1 mutation, a genetic mutation that increases a person’s risk of developing breast cancer. Her paternal grandmother, who passed away from breast cancer in 1975, may have also been a carrier. “If all of the things we have now were available 40 years ago, my grandmother would probably still be alive,” she said. After her diagnosis and subsequent treatment, Marenda discovered a newfound strength and appetite for life. She quit her high-stress job at a government agency and became a flight attendant to travel the world. She is currently is a flight attendant for Delta Airlines, a proud BCRF corporate partner who has donated $14.7 million since 2005 in the pursuit to end breast cancer. “There are so many Delta employees who are breast cancer survivors. We meet all the time. We always hug and talk about our journeys. We know it’s all because of medical advances that we’re here today,” Marenda said. Marenda also became a proud advocate for breast cancer awareness and research. She serves as a blogger, public speaker, activist, and author of numerous books that are targeted for those going through breast cancer. She’s grateful for research advancements which have kept her cancer at bay and helped her achieve a good quality of life as a survivor.